One of the central issues playing beneath the text in Mad Forest is the reality of Romanian systemization, an urban development plan that changed the landscape of the country in general and Bucharest in particular. Ceauşescu was actually one of those people who left the country for the city. On a visit to North Korea in 1971, he was stunned by the outcome of North Korean Juche ideology. Much like China’s Great Leap Forward, North Korea had undergone a period of rapid industrialization. On his state sponsored tour, Ceauşescu only saw was the government wanted him to see. The North Koreans hid their population’s poverty and starvation and Ceauşescu decided that rapid urban development was both possible and necessary. 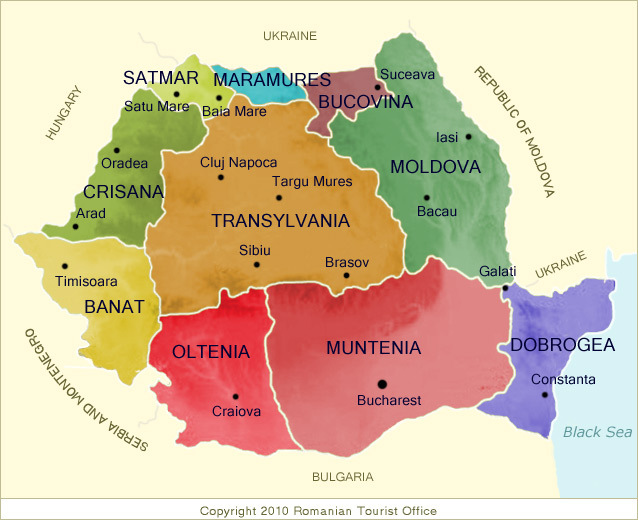 The first goal was to bring rural Romania in step with the rest of the country, an admirable goal but poorly pursued. Though this led to the building of many new schools and hospitals for the population, the official policy deemed villages of less than 1,000 “irrational,” and populations were forced to move to larger towns and cities while their homes were torn down. (The Bulldozer driver in Act II clarifying that his job is “always building, never tearing down” speaks to this reality. Though systemization created thousands of jobs, these workers were viewed as parts of the system of oppression of rural Romanians, tearing down their way of life to make way for unwanted “progress.”) The policies were impractical at best and corrupt at the worst. New buildings had to be at least two stories high, so peasants could not build small houses and private agricultural plots were banned in the villages. The small town of Ceauşescu’s birth, Scorniceşti, was systemized and only his family home was left standing. Farmland was developed for city planning but a lack of agricultural technology research lead to food shortages. By the 1980s, systemization slowed in rural Romania and the government directed their attention to the capital, Bucharest. (This is partly because the national debt caught up with them. Austerity measures were put in place but costly development continued.) Plans began for the People’s Palace, or “Casa Poporului,” the second largest building in the world (by surface area) and the heaviest because of all the Transylvanian marble that was used. In order to make room for this monstrosity and its accompanying Champs Elysee style avenue and government buildings (called the “Centrul Civic”), 8 square kilometers of historic Bucharest were leveled including 19 Orthodox Christian churches, 6 synagogues and Jewish temples, 3 Protestant churches (plus eight relocated churches), and 30,000 homes. 40,000 people were evicted with only one day’s notice. 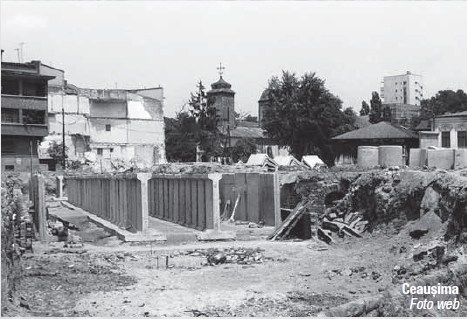 The whole demolished area was called “Ceauşima,” an amalgam of Ceauşescu and Hiroshima. These half finished sites did look post apocalyptic. It is believed that systemization is one of the large reasons the revolution took hold so quickly. So many people were displaced or pushed aside that they were eager to take their country back.